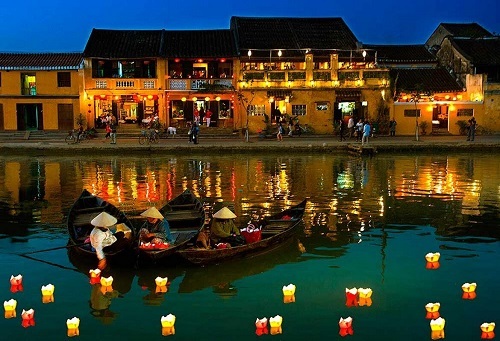 Hoi An is like a colorful picture of the old port city in the poems. It is an unique blend of Vietnamese, French, Japanese and Chinese cultures. Coming here, you will admire romantic sights, join interesting activities as wel as enjoy a lot of tasty food. The night time of Hoi An is the best! My friend told me that after finishing a trip around Hoi An. Most of the houses here have traditional structures dating from the 17th to the 19th century, located along the narrow streets with many lanterns.If you are lucky enough to visit Hoi An on a full moon, you will have chance to admire thebeauty of lanterns, especially when electric lights are off, streets are lit by lanterns. Shimmering lanterns with different colours: red, yellow, greenand blue cover Hoi An, make it fanciful, attractive as hundreds of years ago. Take a boat along the Thu Bon river in the early morning is the best idea for relaxation.The two sides of the river have beautiful sand dunes, rice fields, and picturesque mountains. Especially, the sunset on the Thu Bon River can makeall visitorsto fall in love with it. Visiting Hoi An, you will feel that you are walking in a city of art with lots of exquisite exhibitionsfrom every corner of the road.Do not hesitate to try to be an artist. You can try to make some beautiful handicraft items underthe guidance of skilled artisans.You also can visit some trade villages nearby such asThanh Ha pottery village (3km from Hoi An Town) or Kim Bong carpentry village. According to many people living in the old town, Cao Lau appeared in Hoi An from the 17th century. Perhaps so, this dish is influenced quite a lot from Chinese cuisine and Japanese cuisine. It looks like Udon cold noodles of Japanese but differs in processing and flavor. Whatever,Cao Lau of Hoi An still own the unique taste that only Hoi An has. Water Fern cakes are made mainly from rice flour, shrimp and pork. It is served with fish sauce, chill, fried onion and peanuts. When eating this dish, you will usea special knife made from bamboo. This type of cuisine is totallya different dessert with other Hoi An dishes made from rice, so it can stimulatethe curiosity of guests. Quang noodle looks quite similar to Cao Lau but once you taste it, you will realise that they are completely different. The main ingredients are noodle, shrimp, meat, eggs… that are marinated with traditional spices before being processed. You can eat Quang noodle with crispy rice cake and vegetables. 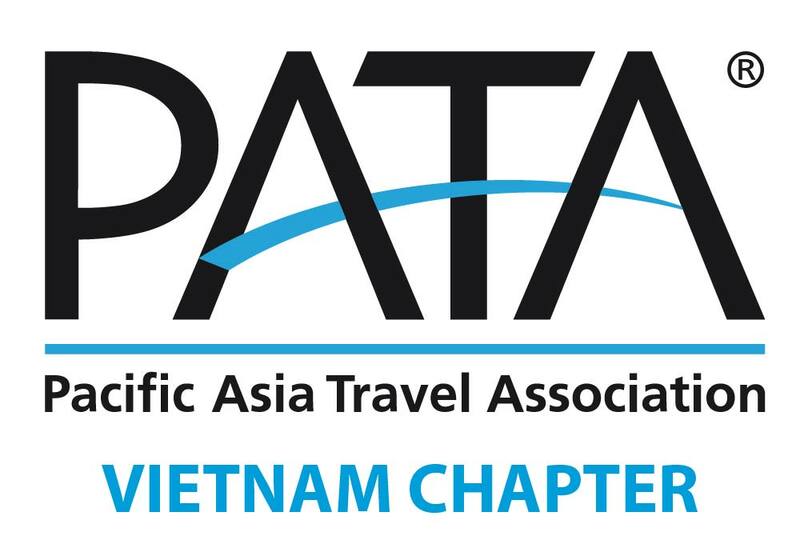 Hoi An pancake is the specialty of Hoi An town. It's one of three dishes my friend love most in Vietnam. The main ingredients for making pancakes are rice flour, also shrimp, meat. These pancakes are processed withhotstoveswith high temperature, so the rainy season from October to December every year is the best time for making pancakes in Hoi An.